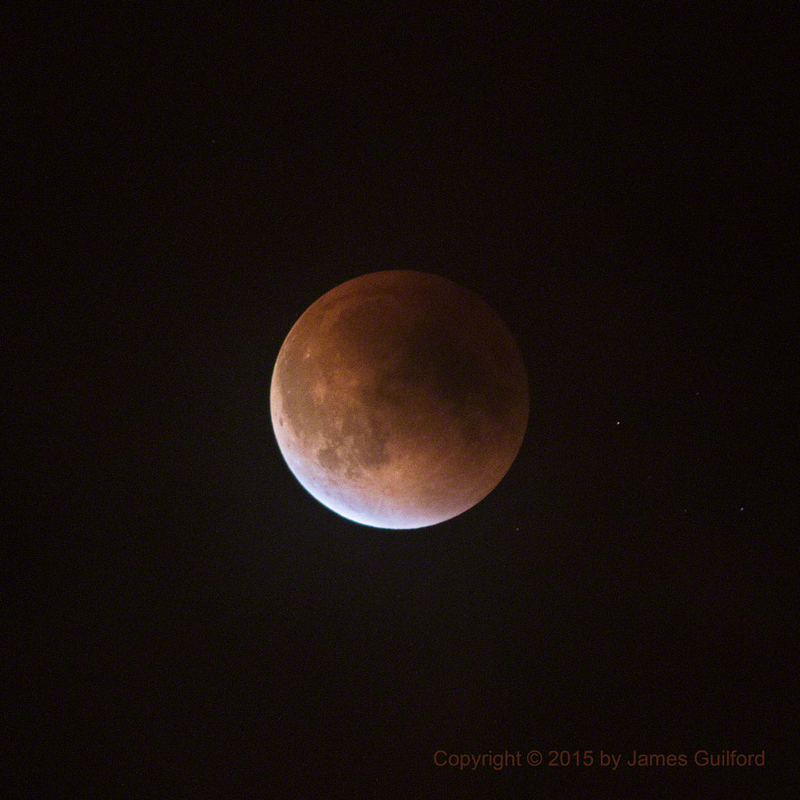 The much-anticipated total lunar eclipse of September 27, 2015 was a challenge for me, a disappointment for many others. 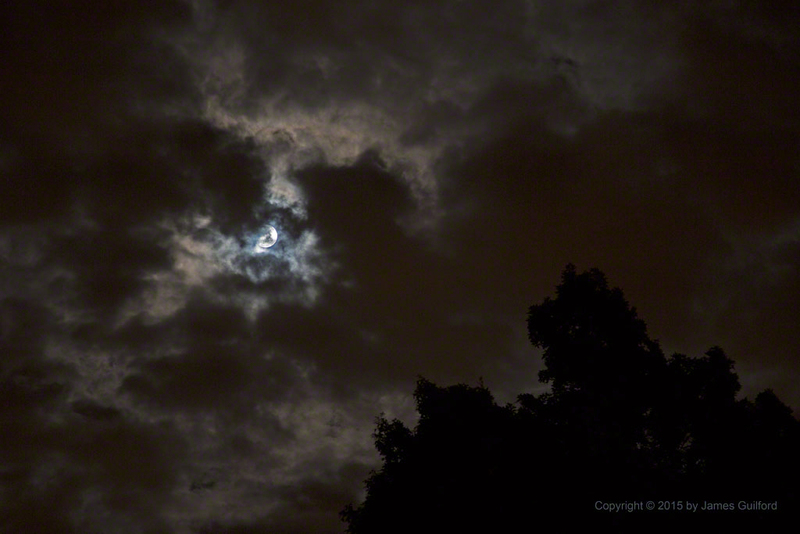 The night started out with a thick layer of clouds floating overhead, a few breaks (known as “sucker holes) visible here and there. I was pretty sure I would see nothing. Enough openings appeared, however, that I got my tripod and cameras ready just in case. I’m glad I did! 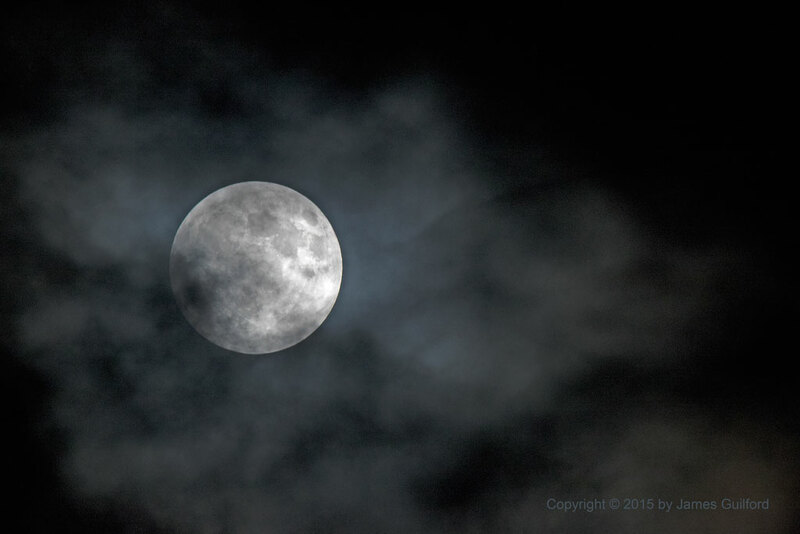 By standing on my balcony, watching, camera pointing to where the Moon was behind the clouds, I was ready for the brief appearances it would make. 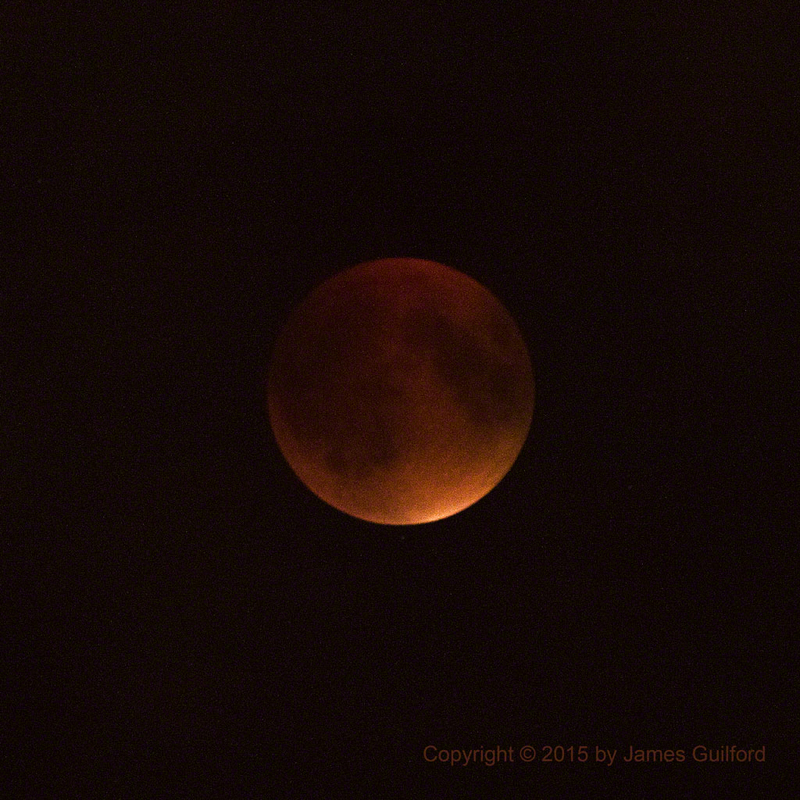 I was able to see most stages of the eclipse and capture some reasonably good images … considering the conditions! The hours of watching seemed to pass quickly and before I knew it, the event was ending. We are privileged to have the opportunity to see only a few total lunar eclipses in our lifetime so it’s best to make the most of each one!